NAS is essential to your IT environment, but a lazy NAS can hurt performance, cause you extra work and bust your budget. 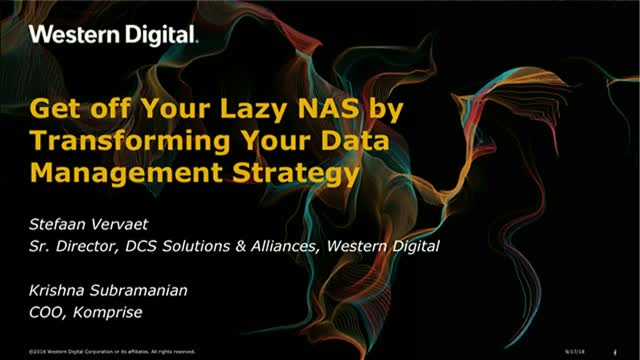 Join experts from Western Digital and Komprise to learn how to transform your data management strategy by gaining visibility and an understanding of your data, automating the movement of inactive data to less expensive storage and optimizing your storage environment. A small investment of time can deliver BIG cost savings!